The annual video contest at themeparkreview.com is over and it’s time to vote for your favorite video! 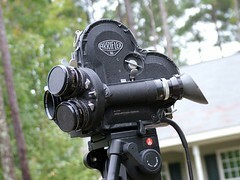 Our carowinds video (or how to use your movie camera) has placed into the finals. Show your whootah support by going here to cast your vote for Phil Hart and Alan Martin’s Carowinds Video. Please also show support for whootah.com member Jonathan Hawkins Midwest Conquest video. We have so far failed to place within the top 3 in the previous years contests, so wish us luck and stay tuned for the results! whootah.com has been spotted half way around the world, courtesy of fellow whootah.com member Jay! Jay is on Themeparkreview‘s UK Coaster trip with 52 other coaster nerds. Check out the trip report at TPR’s site. Can you spot Jay sporting his official ‘super special limited edition’ whootah.com t-shirt? Good friend Jonathan Hawkins film studies has forced him to undertake a more true to life short than the little stuff we’ve been doing ourselves. 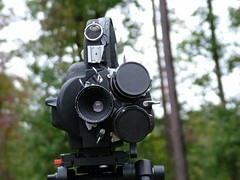 So, here comes the multiple thousands of dollars German made Arriflex 16 from Arri. 16mm film camera, some more info on the camera can be found here, I couldn’t find a really good page for this camera, as the camera is over 40 years old now. I’d have to say the first step in making a film is to insert the film. Jonathan and Alison both had a class on how to load the film and use the camera, however, it ended up taking almost 2 hours to get the camera to a working on position. 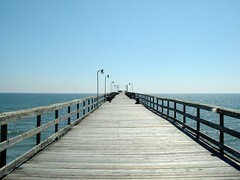 This photo of mine is listed on Yahoo’s main page for the Worlds Best Beaches! Congrats to me!